Tracy Osamudiamen Tolota was born in Nigeria. She came to the United States to study Worship Leading at the Christ for Nations Institute in Dallas Texas. Her Passion for singing came from singing and leading worship at her local church in Agbara Otor in Delta State of Nigeria, a church pastored by her Father. She is fierce in worship, with an attitude of gratitude coming from a place of appreciation of Gods benevolence. Her mission is to reach souls through her anointed songs. 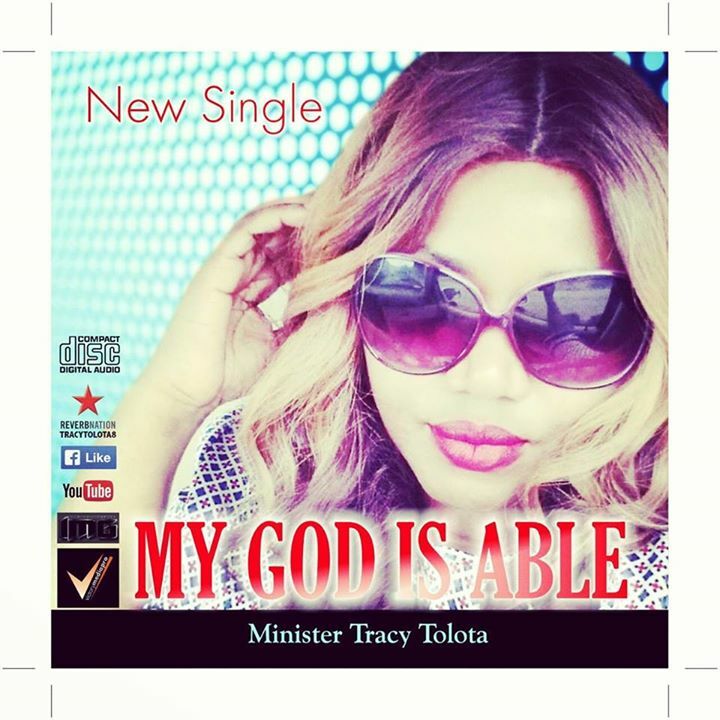 Tracy is married with two lovely daughters who are also featured in her new Single, “My God is Able”. Tomi Favored will be releasing her new album on November 1, 2014. 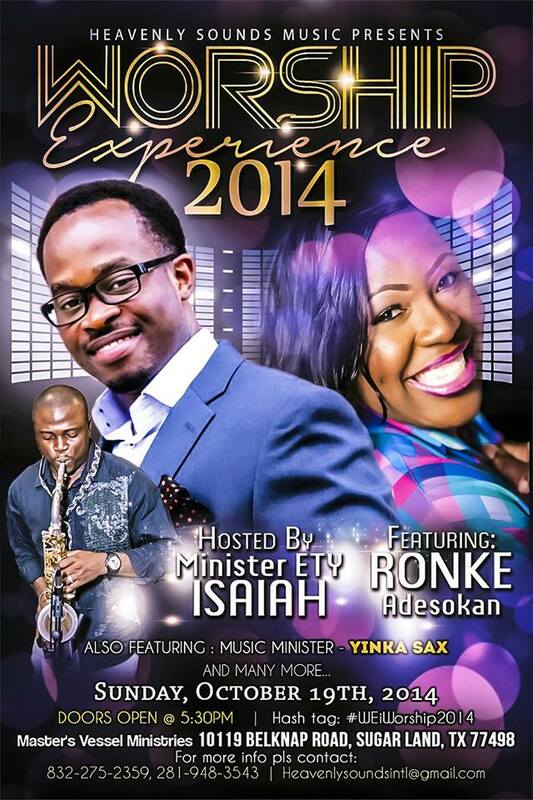 RONKE ADESOKAN LIVE AND IN CONCERT + CD RELEASE – SPECIAL GUESTS: VICKIE YOHE, Trumpeter/Psalmist NATHANIEL BASSEY, DANIEL DEE JONES, EMMY CHUKWUEMEKA ODUNZE,BIMBO ADEPOJU – SHUSI, HOUSTONS FIFTH SUNDAY MASS CHOIR,GRACE INTL CHOIR AND KINGDOM VOICES. @ Houston on Nov, 29,2014! See you there! This is a perfect way to start this month of October; offering true worship to God. Welcome to October, this month will be a glorious month for you in Jesus name, amen. Wow! this year is going by so fast, I believe God that your expectations shall not be cut short and as we start the last quarter of 2014, may doors open unto you of their own accord. Remember to thank God for the gift of life and the grace for seeing another month, as your praises go up, more blessings are released into your life. Have a fulfilling month of October friends.